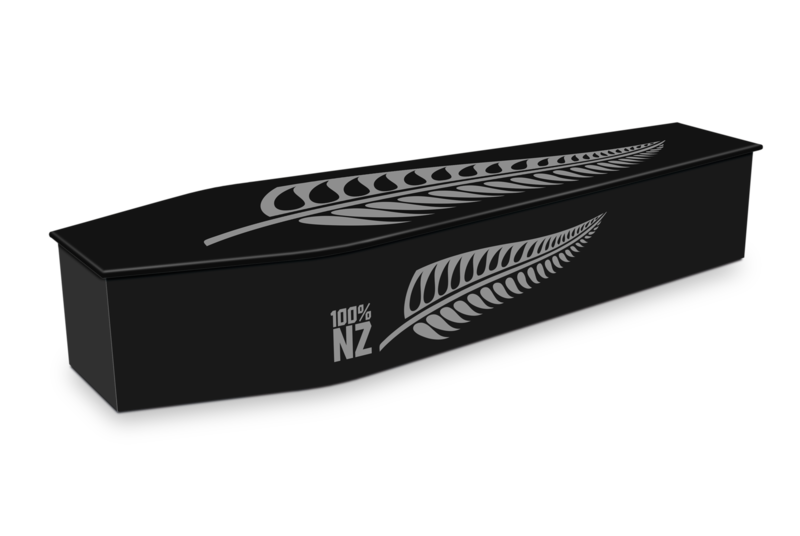 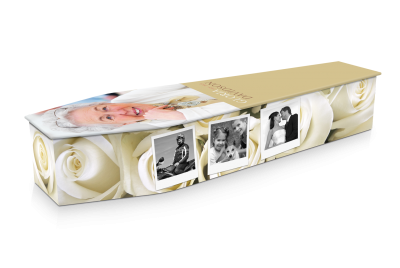 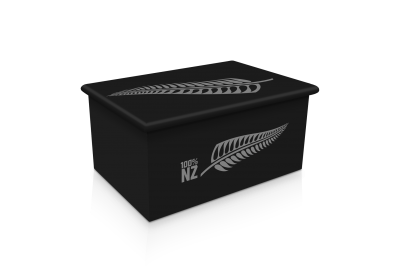 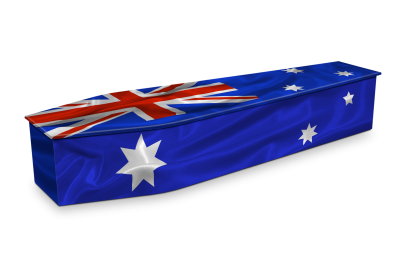 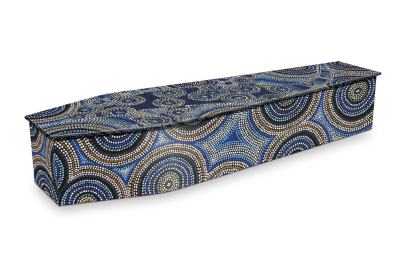 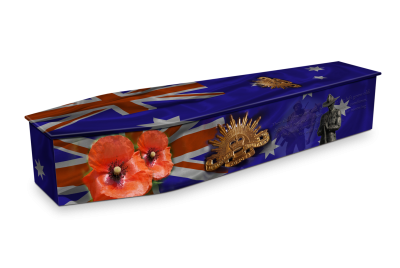 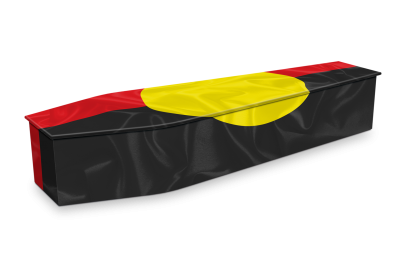 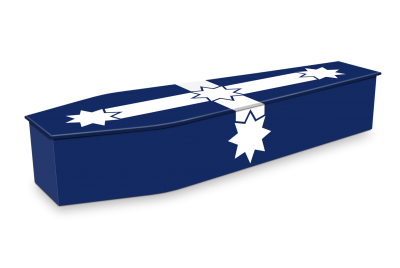 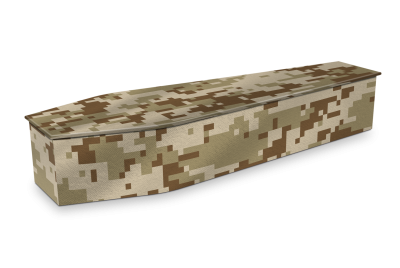 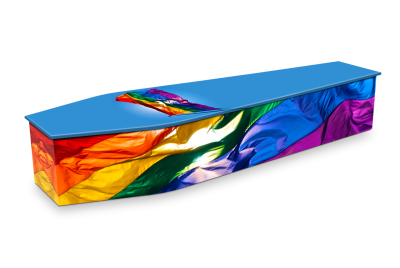 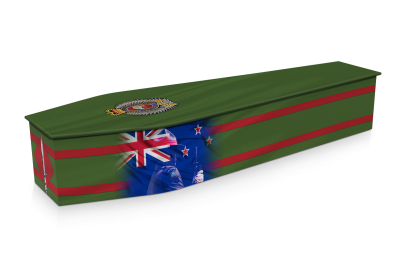 This coffin features a Silver Fern down the lid and along the sides. 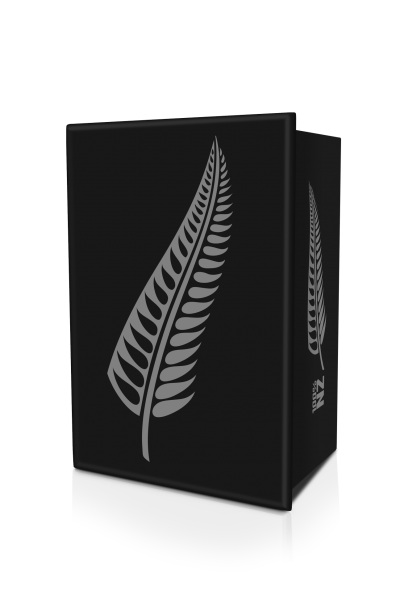 The Silver Fern is endemic to New Zealand and is a symbol which is associated with the country and New Zealanders themselves. 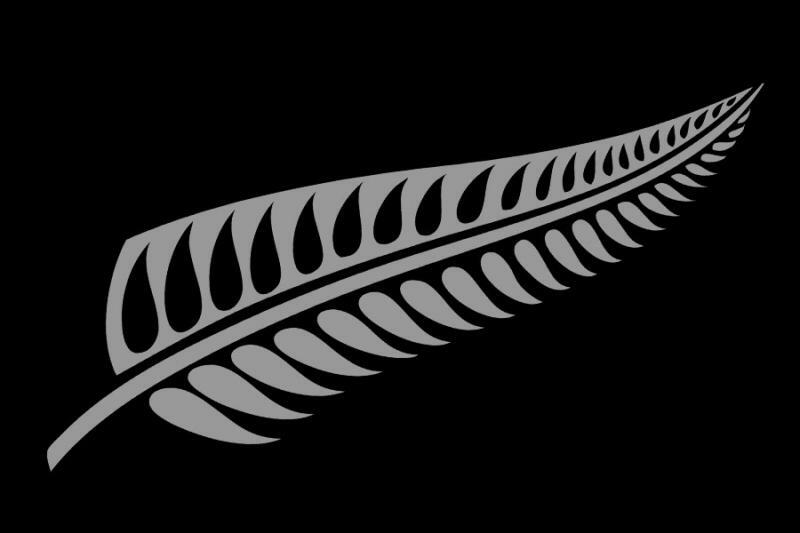 The koru symbol found in Māori art is inspired by the shape of a young unfurling Silver Fern frond. 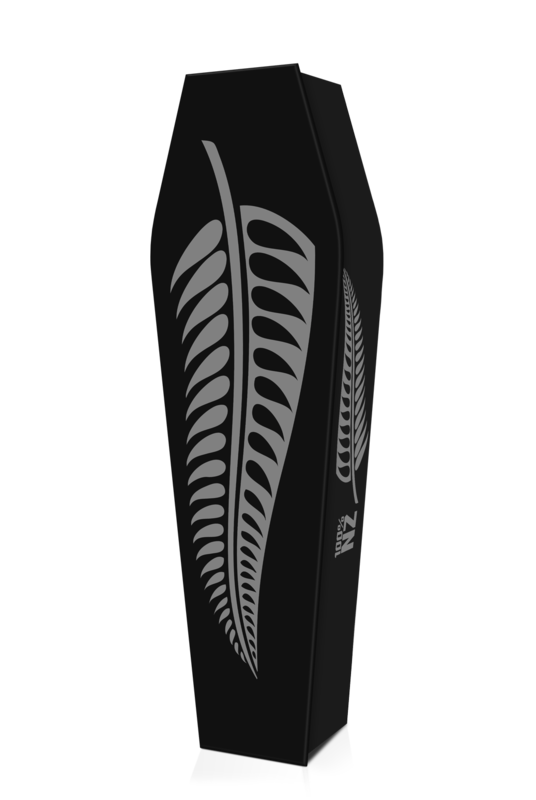 Silver Fern leaves appear on the New Zealand coat of arms.